Stratus V Series servers are designed specifically for VOS applications that are running up against performance or capacity limits. Offering significant performance over Continuum-based VOS OS server hardware, V Series systems running OpenVOS bring together the stability of the VOS operating system and the power of the Intel® Xeon™ Processor. Models include 1-way, 2-way, multi-core and 4-way symmetric multiprocessing (SMP) servers. Stratus servers running the VOS operating system have long been valued for their ability to deliver industry-leading uptime. Today Stratus introduces OpenVOS, a unified release of VOS that runs on all three generations of ftServer V Series hardware. Fifth-generation V Series advance the VOS platform with the addition of the V 6512 model. This system is based on the latest-available technology and are designed to provide the highest performance V Series platform. Fourth-generation V Series systems advance the VOS platform with the addition of the V 2404, V 4408, and V 6408 models. These systems are based on the latest available technology and are designed to give you the highest performing V Series platforms available. Previous-generation V Series products continue to be available for customers that wish to maintain homogeneous V Series platforms in their computing environment. V Series servers are designed for a range of high-volume applications, such as trading systems in financial services, lotteries and point-of-sale (POS) debit and credit systems. Taking advantage of the performance and capacity of the V Series servers could not be simpler. You benefit from OpenVOS functionality that includes the availability protection you have come to rely on. Moving your most critical applications to V Series servers is easy and uncomplicated. Existing Continuum applications can be recompiled simply by using the cross-compilers available with VOS Release 14.7. 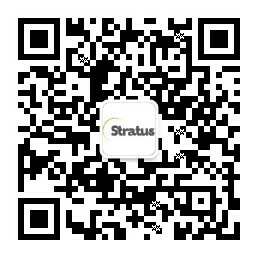 Or call on Stratus Professional Services experts to assist with the migration. After migrating, you will find that ftServer V Series systems and applications will interoperate seamlessly with your installed PA-RISC® servers running VOS. The same exceptional serviceability you are accustomed to — including server self-monitoring, the Stratus Remote Service Network (RSN) and Assured AvailabilitySM service coverage* — continues to defend against unplanned downtime around the clock.